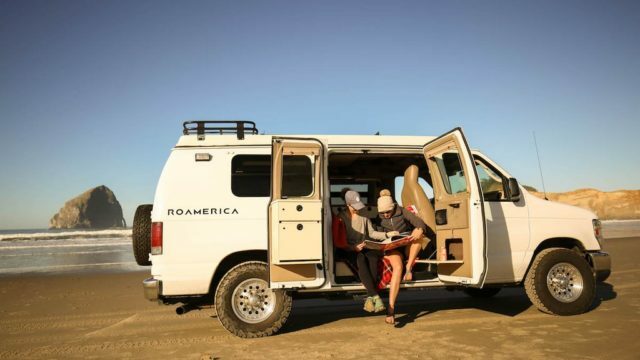 This article talks about the motivations and process of how Gaby Hernandez and her husband ended up starting their 12 month overlanding trip in the land down under. 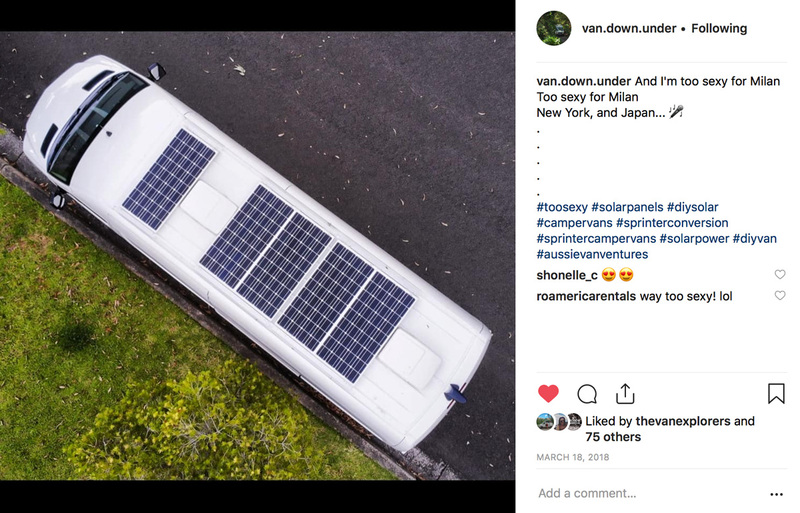 A little over a year ago, Gaby Hernandez (@van.down.under) came to Portland from Sydney, Australia for a 14-day road trip in a ROAMERICA camper van. At the time, the trip was simply something fun to do for vacation. Little did she know that after the trip ended, she and her husband Dave would embark on another 12 months of van-life but this time, all over the continent of Australia. You’re a week into the trip – how’s it going? Dave: Everything is so different from home. Even brushing your teeth. At home you turn on the tap and rinse with your hand. Here you use a cup to capture all that water. Another thing we’ve learned is how tight everything is in the van. We’re starting to get more comfortable with the space we have. For instance, there’s a compost toilet inside the van that’s kind of in the open. You just wonder if people can see you through the tinted windows. Gaby: We’re still getting use to all the planning that van living requires. For instance, Australia has been hit with drought this year and kangaroos and wombats migrate to towns at night leading to lots of roadkill. So we have to plan things like where to sleep since we don’t want to drive at night and hit them. We’re learning to think ahead for these kinds of things. What’s the van life community like out in Australia? We haven’t connected with many folks yet. Orange is inland; but I imagine once we get to the east coast, we’ll run into more van lifers. Some people get to a place and enjoy it so much that they set up for a while and find jobs to keep living the lifestyle in that location. We find that pretty interesting, especially if we find a place that we fall in love with. What did you guys do for work before deciding to pack up for a year? Gaby: I worked for Health Direct Australia, an online and phone based non-profit that helps people decide if they need medical help. I had recently been promoted and was happy with my job; but being faced with this opportunity, I took a bit of a leap. We’ll travel for 12 months, see how we feel, and for the moment, not do any other paid work. Dave: I’m self-employed doing social media marketing and consulting for larger corporations. Because of the kind of work I do, I can also travel. I can’t work at the same capacity that I use to; but the sacrifice of taking the year off and seeing the country was more important than making money in that year. So here we are at the moment. I was actually doing a little bit of work right before we jumped on this call. 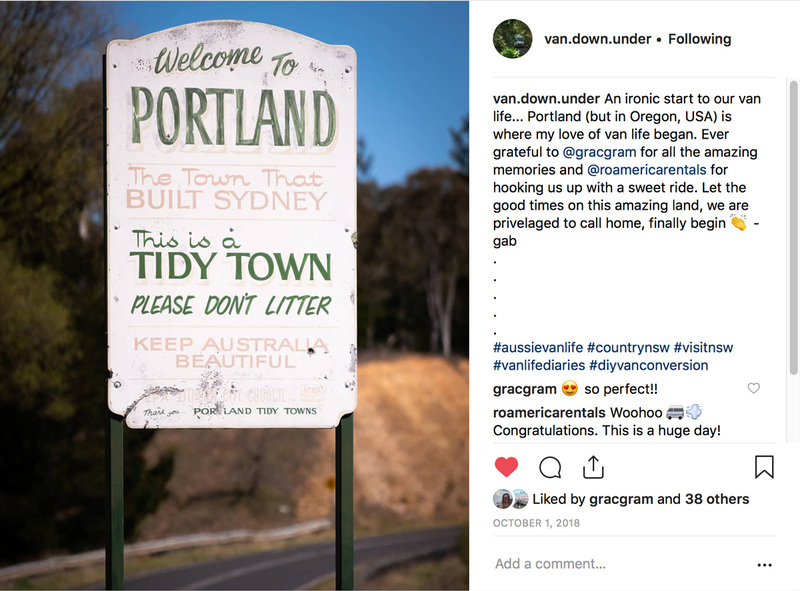 Gaby: We also started the @Van.Down.Under Instagram handle to connect with the van life community to see what other folks were doing with their vans. We don’t want anything that will take away from the actual travel so we don’t have plans right now of turning that into an influencer account; but we’ll post photos of places we go to. Dave loves photography and has a drone, and we love sharing our travels. You guys built your own van. Tell me what that was like. Gaby: We bought the van in February and spent most of our weekends working on the van for 7-8 months. Everything we’ve done on the van has been through research and a lot of time on YouTube.We started in February and finished last month. Dave: Thankfully we didn’t burn anything down. It was a new, empty van so taking a grinder to cut holes for vents was stressful. 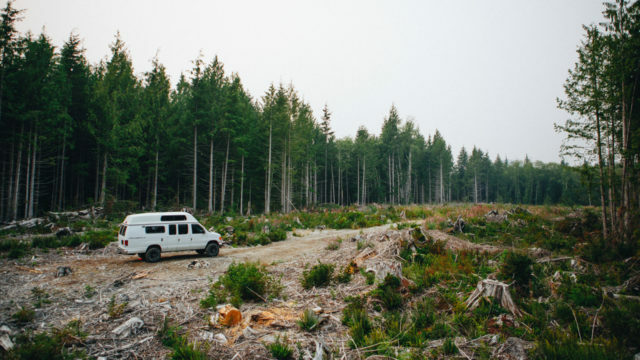 At times, we would look at our half-built van and say, “What have we gotten ourselves into?” Especially when we couldn’t figure out how to put something together – it was suppose to take a day; but a week later, we’re still working on in. Gaby: One of the grueling things was the cupboards. We measured incorrectly a couple times; and you can’t really have cupboards that aren’t straight, you know? Dave: Or the overhead cabinets. We spent two and a half days building them; then realized we built them wrong. Gaby: But we did get an engineer give us a report saying everything was up to standards so we’re pretty happy about that. 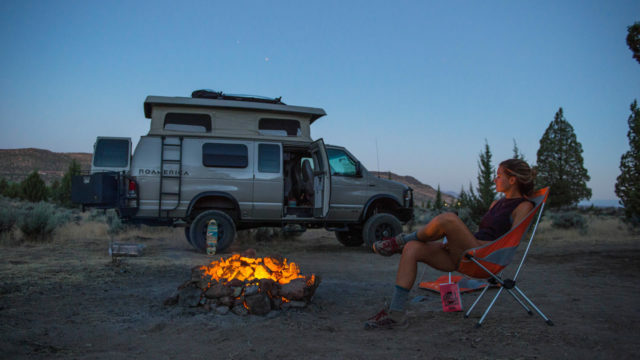 Tell me where your van life inspiration came from? Gaby: It all started with ROAMERICA, on a 14-day road trip in Oregon and California with a friend of mine. In Australia, it’s normal for full-time employees to get a full month leave every year so used mine to travel in the states. The friend I traveling with, Grace, was actually part of my team at work. She wanted to take three months off, which is not the norm; but also just so happened that I was her boss at the time. So I let her take the time off and in the process, became interested in joining the trip. During the trip, it became sort of an inside joke. People would ask Grace how she got so much time off and she would respond by saying she had this cool boss. The entire trip took a month, 14 days on the road, but that’s where the inspiration came from. 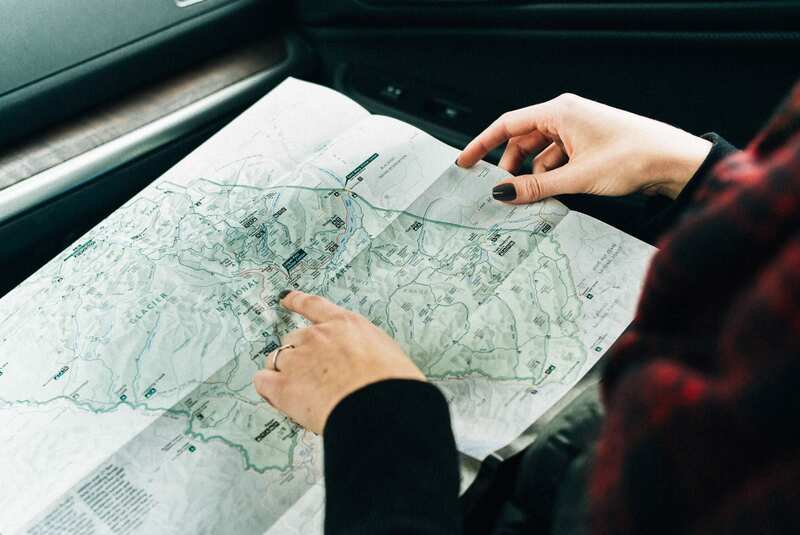 What was the planning process like for an oversea overland trip? Gaby: We started planning for the trip maybe 3-4 months beforehand. 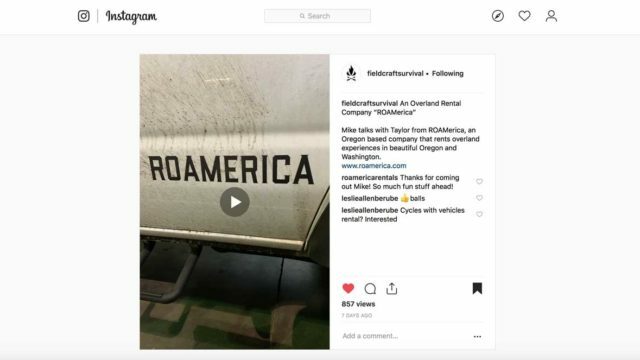 I basically started Googling “camper vans for hire.” We knew we wanted to start in Portland and after some research, decided on a company called Roamerica; they seemed to be the most responsive by email so we finalized it all through them. Gaby: Neither of us had ever driven in the States so driving a huge van on the other side of the road was a bit of adventure in itself. We started in Portland and headed to the coast, stayed at Nehalem Bay and Cannon beach then made our way to the Redwoods We visited Napa Valley, Yosemite, and several natural hot springs all in the same trip. One of nicest things for us traveling that time of year was experiencing all four seasons in 14 days. At Yosemite we were wearing shorts and t-shirts and by the time we got to Crater Lake there was snow. At times we didn’t shower for days so when we did get to a campground with hot water and facilities, we felt privileged. Any enlightening thoughts post trip? Gaby: Getting back into the routine was a bit of a struggle. When I got back home mid-October, Dave and I started thinking about what’s next. We had considered buying a house in Sydney, which is a very expensive city, but ended up deciding to buy a van instead which led us to where we are today. We just kept thinking how cool it would be to travel domestically instead of working all year to travel overseas when we haven’t even seen our own country. It inspired us to rethink what actually matters and what kind of travel I want to do. 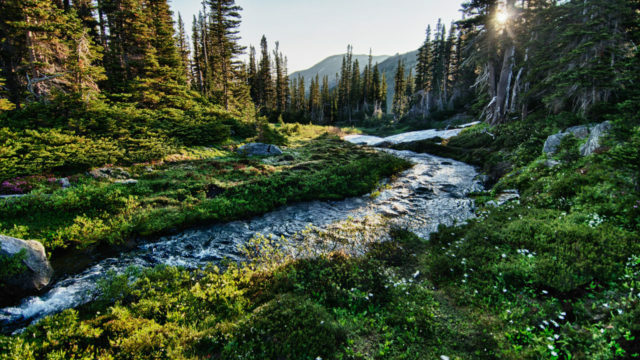 Are there other environmental considerations that went into the van? Dave: We use a chemical-free compost toilet that leaves no bad odors which is great. We’re also careful of our water consumption. 110 liters of clean water under the van and 80 liters of grey water sounds like a lot but it goes quick. We have 500 watts of solar on the roof. Gaby:I’m vegan so we have to make sure to find plenty of food since people in the country aren’t as accommodating to vegan diets. It also means we don’t have tons of perishables. We have a pantry of food for things that are easy to make and we’re looking forward to lots of fresh fruit and vegetables. There’s lots of wineries. We’re off to a wine tasting this afternoon, in fact. Gaby: YouTube. We walked away with all these new skills. There’s a lot of stuff on YouTube. Dave: If YouTube didn’t exist, we would be in an empty shell. Gaby: A lot of folks in Australia might opt for cheap travel overseas to like Indonesia or Thailand, but not many people in their 20’s or 30’s travel in Australia. Domestic travel is seen as kind of a retirement thing, but there’s a movement now for younger people to travel in Australia and contribute to our own tourism economy. 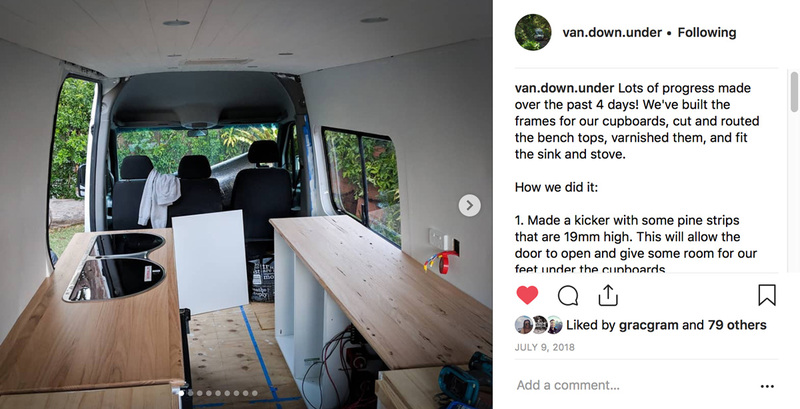 Vanlifing kind of seems like an irresponsible thing to do; but really it’s a time to do the things that you say “I don’t have enough time to do that,” like learning a new language or reading on a subject you always wanted to learn about. That way when you go back to the 9-5, you’ll have done some of those things. 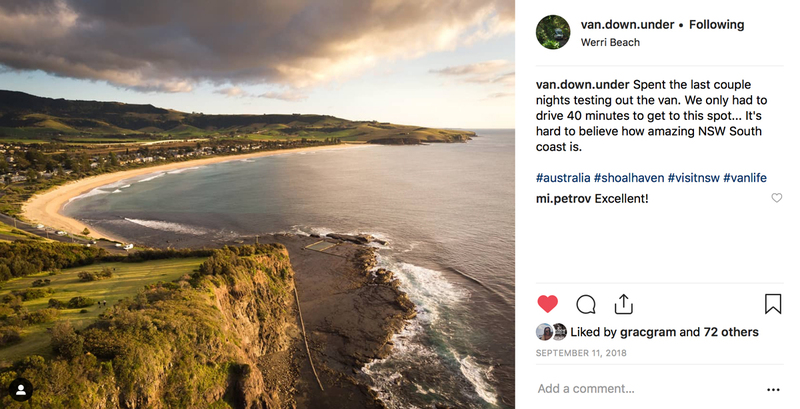 To follow more of Gaby and Dave’s adventures, follow @van.down.under.